Commissioner Victor Crist was elected to the Hillsborough County Commission in 2010 to represent District 2 which includes the communities of northern Hillsborough County. Prior to serving on the County Commission, he represented parts of Hillsborough County and Pasco County in the Florida House of Representatives from 1992 until 2000. He was then elected to the Florida Senate in 2000, where he served until 2010. He is putting his valuable experience and proven accomplishments to good use serving on the following Boards and Councils: Aviation Authority, Council of Governments, Florida Association of Counties Board of Directors, Friendship Trailbridge Oversight Committee, Hillsborough County Emergency Policy Group, Public Transportation Commission, Tampa Bay Estuary Program Policy Board, and Tampa Bay Regional Planning Council. Victor was born in New Orleans, LA, grew up in Treasure Island, Florida and has lived in north Hillsborough County for more than 30 years. His father is a retired military officer. His mother donated a life-time of community service that included serving as a medical missionary. 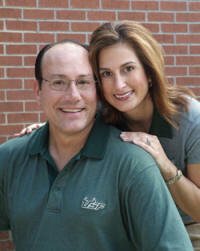 He graduated with honors from the University of South Florida in 1983 with a B.A. degree in Communication, a minor in Business Administration, and additional graduate studies in Communication. While working his way through college, he started Metropolitan Communications, Inc., an advertising agency, of which he is still president. Commissioner Crist and his wife Angela enjoy traveling, outdoor activities, the arts, sports, time with their three year old daughter Sophia and their chocolate Labrador, Coco.